Möchten Sie unsere neusten Blog-Inhalte immer sogleich zugestellt erhalten? Dann registrieren Sie sich mit Ihrer E-Mail-Adresse. Unsere Informationen zum Datenschutz finden Sie hier. 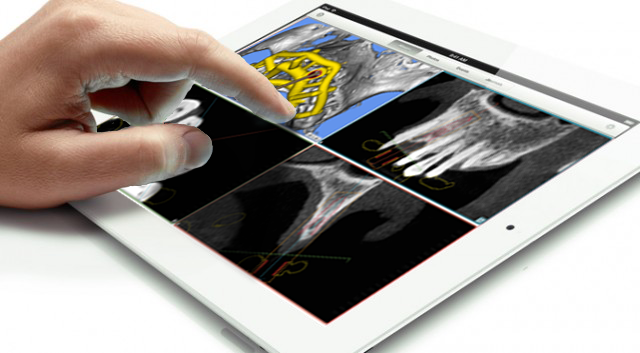 On June, 28, our partner ImplantGuidePrint in association with Dentale firstly held a SMOP training course ‘’Plan to Placement’’ for dental implant surgeons interested in acquiring new knowledge and experience for their surgery using the new digital methods of planning and guided placement. The speakers of this event were Dipl.-Ing. Florian C. Schober, an expert in guided surgery and 3D implant planning, and Jason Buglass, an implant surgeon and trainer in implant surgery. During the training course, the participants got acquainted with the features and functionalities of the SMOP tool. Moreover, they had a great opportunity to see its capabilities by watching the live surgery using the pre-printed guide created with the help of the SMOP Planning Tool. The participants received a lot of additional information and details in digital planning and surgical template design that could be applied in their practice in the future. Our sincere thanks to all the participants who attended the training course. And of course, our special thanks to the speakers, Dipl.-Ing. Florian C. Schober and Jason Buglass, who shared their knowledge, thoughts and ideas, as well as presented the SMOP tool to the professional audience. Our team is constantly working to improve our products to better meet all your needs. Smop has always featured an intuitive interface and high quality. Now, this new version is even faster, easier, and more enjoyable. The choice of implants has never been easier! For your convenience, we have now integrated new implant series from such leading implant manufacturers as Osstem Implant, Southern Implants, Medentika, B&B Dental, Futur Implants, Thommen Medical, C-Tech, and Alpha Bio. This feature allows you to align Model and Wax up data simultaneously. Thus, there is no need for additional steps to adjust every object position. To use this functionality, simply activate it in the Shell settings and apply to the case you are working on. With this feature, you can customize color settings for Model and Wax up data by configuring your own default colors in the Shell settings. Please note that these settings will be applied to all newly created cases. With enhanced automatic calculation of the object position, the matching procedure becomes much easier, saving you time and effort in picking the most accurate object position. This functionality stores all case screenshots in a separate folder created automatically using the case ID, thus simplifying the overall process. You do not have to look through multiple screenshots to find the one you need. Simply enter the case ID to find the folder with the required screenshot. The improved functionality now allows imprinting the necessary information even on a short arch. In addition, you will find improved performance from a modernized codebase and bug fixing, as well as increased security and reliability of patient data. Moreover, you do not have to worry about possible compatibility and update issues, as these are checked before installing the software. For us, software improvement is a continuous and constant process. Simply enjoy the application and stay tuned! Swissmeda participated in the Oral Global Reconstruction Symposium organised by Camlog in Rotterdam in April. Several lectures showed the use of our planning system and templates. The symposium offered multiple workshops. Our methodology was shown in several of them. Two workshops were concentrated on implant planning and surgical templates and showed the possible services. Dr. Ignacio Sanz Sanchez from the Complutense University of Madrid and Dipl.-Ing. Florian Schober from the University of Zurich showed in English how our methodology improves the work of surgeons and dental technicians. Dr. Oliver Hugo and Mr. Ulf Neveling presented a workshop on the topic in German. The participants which came from different countries were enthusiastic and inspired to learn new tools for their work using the SMOP planning program. The doctors heard interesting technical and practical aspects how to become familiar with this technology and how to apply it on a daily routine. They also found out how to be more predictable avoiding the pitfalls that may occur during the treatment. In the evening there was an unforgettable party. It took place in a very special location, in Laurenskerk church in Rotterdam. Our development team has made major framework updates that will result in a faster application and more timely updates in the future. 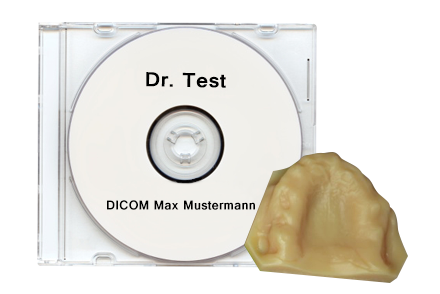 In this version, the supported DICOM formats you can import have been greatly extended. For implants and abutments, Camlog, Thommen Medical, and Sweden & Martina have been updated, and Neoss and Medical Instinct have been newly integrated! If you are using a high-resolution display, you are lucky, as now you can enjoy a scaled view of the application. And if you are using an Apple computer, Panorama View is now available for you, too! Moreover, all users can set the 3D image to Front, Left, Right, Top and Bottom View automatically using a special option in the 3D window toolbar. Now you can also choose the option to invert the directions of zooming in the Settings, and you will be able to see the change by scrolling the mouse wheel both in the 3D and 2D views. Measuring functionality has been improved. Having placed a check mark in the Settings, you will notice that measure points now snap to intersection curves, for example the outline of the model or the wax-up, so you don’t need to spend much time trying to choose the right position. Another setting allows you to rotate large objects data, such as the model or the wax-up, around the window center. If you have ever missed the option of adding another STL with additional prosthetic information or the antagonist scan, you don’t have to worry about it anymore. A new process step, “Additional STLs,” is now available! And if you need to plan a case and don’t have an internet connection, no problem. You can work offline with a case as long as it is saved only locally and not being shared. We have also added a new functionality to avoid case overwriting. If you are working simultaneously with someone on the same case, the application detects the changes and informs both of you. So, it is possible to either save or discard the changes. And if you are a trained user, from now on you can check the case save history and restore the version you need at any time: just click on the option Show Details. SMOP 2.12 – what makes it different? Unseres System in der Zeitschrift Quintessenz Zahntech! "Effizienzsteigerung bei der Implantatbehandlung durch optimierten Workflow"
Sie können den Volltext vom Artikel im Online-Shop der Zeitschrift Quintessenz Zahntechnik finden. Die neue smop Version 2.10 ist nun für Mac verfügbar! Ab sofort können Sie Ihre Fälle sowohl an Ihrem Windows, als auch an Ihrem Mac Computer (OS X 10.9+) bearbeiten. Die Mac-Version beinhaltet fast alle Funktionen der Windows-Version. Ihre Meinung zur neuen Mac Version ist uns wichtig! Wir freuen uns über Anregungen, Lob oder auch Kritik! Klicken Sie hier, um die Mac-Version herunterzuladen. Wir haben einen neuen Offline Modus entwickelt, der sich automatisch einschaltet, wenn Sie Ihre Netzwerkverbindung verlieren sollten. Sie können an Ihren Fällen weiterarbeiten, auch wenn Sie im Flugzeug oder im Taxi sitzen. Alle gespeicherten Änderungen werden automatisch mit dem Server synchronisiert sobald Sie wieder mit dem Internet verbunden sind. Wir haben eine neue Einstellung hinzugefügt: „Öffnen Sie mehrere Fälle gleichzeitig“. Wenn diese Funktion aktiviert ist, können Sie an zwei oder mehr Fällen parallel zur gleichen Zeit arbeiten und Ihre Produktivität somit enorm erhöhen. Sie können das Auto-Login bei Ihrem ersten Login aktivieren. Wir haben den Namen der Datei mit der Patienten-ID, der Planungsversion und dem Datum des Exports ergänzt. Wir haben den Down- und Upload der Fälle deutlich stabiler und schneller gestaltet. Wir haben den Export von Scan-Adaptern integriert, um die Konstruktion der Prothetik zu vereinfachen. Damit Sie Ihre Fälle schneller finden und besser organisieren können, wurde die smop Shell neu designed und die Reaktionszeiten signifikant verbessert. - Funktionen um Kollegen zu finden, um mit diesen im sozialen Netzwerk von smop zusammenarbeiten zu können. Ihre Fall-Übersicht und die Ansicht der geteilten Fälle wurden übersichtlicher gestaltet. Die verbesserte Fall-Navigation bietet Ihnen alles, was Sie zu Ihrer Arbeit benötigen: verbesserte Suche und Sortierung, schnell ladende Seiten und grössere Bilder. Wir haben die Anzahl der dargestellten Fälle pro Seite erhöht. Ein neues Kreisdiagramm zeigt Ihnen den Fortschritt über den Ladestatus Ihrer Fälle an. Wie auch in unserer iOS App ist der aktuelle Status des Datentransfers sichtbar. Nutzen Sie smop auf Ihrem Mac, unter Windows oder als Viewer die iOS App! Sie werden begeistert sein! Smop’s ungarischer Distributor, Merfol Ltd, organisierte einen 2-Tages Intensivkurs in Budapest, der von Dipl.-Ing. Florian Schober durchgeführt wurde. Neben ungarischen Zahnärzten nahmen etliche weitere Zahnärzte aus dem europäischen Ausland an dieser Schulung teil. Den Teilnehmern wurden umfangreiche Kenntnisse über digitale Möglichkeiten in der Implantologie vermittelt - von den Grundlagen (wie z.B. bildgebende Technologien wie CT, CBCT, Intraoralscans) bis zu den einzelnen Details aller Möglichkeiten mit SMOP. Darüberhinaus konnten die Teilnehmer das Gelernte sofort bei Softwareübungen und Demo-Implantationen mit Schablone anwenden. Vielen Dank an Dipl.-Ing. Florian Schober für diesen exzellenten 2-Tageskurs. Es war eine großartige Erfahrung für alle Teilnehmer! Mitte Mai fand der Launch von smop in Japan statt. Camlog Japan startet ein smop Service Center in Tokio und hat dazu Ulf Neveling von den Stentists nach Japan eingeladen. An 5 Tagen fanden intensive Schulungen statt, insgesamt konnten über 50 Mitarbeiter und Kunden alles über die virtuelle Welt rund um die Implantatplanung erfahren. Vom Einlesen der DICOM-Daten über die Planung der Implantate und Konstruktion der Schablone bis zum digital erstellten Abutment und Provisorium wurden alle Aspekte der bestehenden Möglichkeiten vermittelt. Wir wünschen eine erfolgreichen Start und hoffen, einen guten Beitrag dazu geleistet zu haben. Die neue smop App ist nun für iPad und iPhone verfügbar! Besuchen Sie den AppStore und laden Sie sich die aktuelle smop App auf Ihr iPhone oder iPad, um Ihre Planungen immer verfügbar haben. Sie können die Planung auf diese Weise auch mit Ihren Kunden oder Ihrem dentalen Team schnell und anschaulich abstimmen. Dr. Ronald Jung and Prof. Florian Schober presented a 2 Day Advanced Course in Implant Dentistry on May 15 & 16, in Buckhead. We were very fortunate to have Prof. Florian Schober here to share his course, "Surgical and Prosthetic Decisions for Successful Implant Therapy". We can't say enough about how grateful we are to Prof. Florian Schober, Dr. Rony Jung and our clients for committing this weekend in May to the pursuit of dental excellence. It was a great experience! Besuchen Sie smop auf der IDS 2015 in Köln! smop gilt als einfach bedienbar, nun wird es noch einfacher, die neue smop App für Ihr iPhone oder iPad. Sie können mit der App durch die originalen 3D Schichten surfen und Implantatplanungen und Schablonen kommentieren sowie freigeben. Die smop Schablone aus dem 3D-Drucker ist hochwertig, sehr passgenau, günstig und erlaubt gute Übersichtlichkeit. * optional: WaxUp, falls vorhanden. Im tollen Ambiente der Praxis von Dr. Pascal Marquardt veranstaltete die „Neue Gruppe“ einen intensiven 2-tägigen Planungsworkshop. Die Teilnehmer erarbeiteten sich unter der Anleitung von Dr. Marquardt und Ulf Neveling anhand ihrer eigenen Fälle den Umgang mit der Software und tauschten sich über ihre Erfahrungen untereinander aus. Während der Live-OP wurde deutlich, welche zusätzlichen Vorteile die neuen digitalen Austausch-Möglichkeiten bringen. So wurde dort ein rein digital, auf Basis der virtuellen Planung produziertes Sofortprovisorium erfolgreich eingesetzt. Vielen Dank nochmal an alle Teilnehmer, es war ein sehr produktiver Kurs, der allen Beteiligten viel Spaß gemacht hat, Wiederholung ist in Planung. Eine große Gruppe amerikanischer Zahnärzte und Spezialisten kam im September diesen Jahres nach Zürich, um an dem renommierten 3-Tages-Kurs zur Implantologie an der Universität Zürich teilzunehmen. 3D-Implantatplanung und schablonengeführte Operationen waren das Hauptaugenmerk der Veranstaltung - neben allen weiteren relevanten Themen. Ein großes Team der Zahnheilkunde der Universität unterstützte die Teilnehmer hilfsbereit bei den zahlreichen Übungen. Der Kurs war ein sehr großer Erfolg und die Teilnehmer waren mehr als begeistert. Wir sind sehr froh, so viele neue Nutzer in den USA gewonnen zu haben und freuen uns, diese weiter zu unterstützen! PD Dr. Sebastian Kühl aus Basel zeigte seine Ergebnisse bei einer Studie, in der er die Genauigkeit manuell hergestellter Bohrschablonen mit den gedruckten Schablonen von Swissmeda vergleicht. Seine Ergebnisse lassen erkennen, dass bei den gedruckten Schablonen von smop wesentliche Verbesserungen in der Genauigkeit bestehen. Wir erwarten diese Veröffentlichung mit grossem Interesse. Prof. Dr. Irena Sailer aus Genf stellte neben den aktuellen Entwicklungen im Bereich des digitalen Workflows auch vor, was wir in Zukunft erwarten können. Dabei wurden die ersten Ergebnisse aktueller Entwicklungen von Swissmeda und die Integration von 3D Gesichtscanscans in die Planungsdaten gezeigt. Beim Intensivkurs "Computerunterstützte Implantologie" am 24.05.14 in München mit Dr. Claudio Cacaci wurde zum ersten Mal eine smop Schablone mit den neuen Hülsen und Bohrern von Camlog. Das neue Camlog Guide System machte auf alle Anwesenden einen hervorragenden Eindruck, es schien sehr einfach und präzise in der Anwendung. Wir sind alle auf die Markteinführung und weitere Erfahrungen gespannt. Auf der ausgebuchten 2-tägigen Schulung in Hilzingen (bei Singen) kamen Zahnärzte und Zahntechniker zusammen, um sich das smop-System mit dem neuen Camlog Guide 2.0 anzusehen. Dr. Jörg Danzberg (Swissmeda), Dr. Sigmar Schnutenhaus (Praxis Dr. Schnutenhaus) und Herr Oliver Keller (Camlog) leiteten durch die Veranstaltung. Einen Höhepunkt bildete die Live-Operation von Dr. Schnutenhaus mit einer smop-Bohrschablone und dem neuen Camlog Guide 2.0. Nachdem wir mit der Version 2.6 den ersten Schablonen-Designer implementiert hatten, war die Optimierung der Integration in den Gesamtprozesses eines der Kernthemen für die Version 2.7. Dazu wurden neben neuen Parametern im Designprozess Ergänzungen im Online-Bestellprozess vorgenommen. Die Abbildung bestehender Surgical Kits wurde ergänzt und neue Implantatsysteme wurden in die Bibliothek aufgenommen. Am 06. und 7. Dezember fanden die jährlichen Praxistage des ipi in München statt. In den Präsentationen wurde unser smop-System vorgestellt. Der Höhepunkt der Veranstaltung war eine Live-Implantation mit einer Smop Schablone, welche Begeisterung auslöste. Um den Interessierenden dann Frage und Antwort zu stehen, waren wir mit einem kleinen Stand vor Ort. Der Andrang war so groß, dass wir nicht mit jedem Interessenten ausführlich sprechen konnten. Nach der ersten grösseren Schulung zum Schabloneneditor im Sommer veranstalteten wir im November eine weitere intensive Einführung zur digitalen Konstruktion von Bohrschablonen. Während der Schulung erarbeiteten wir gemeinsam die neuen Funktionen der Software und diskutierten eventuelle Schwierigkeiten auf dem Weg zum eigenen Schablonendesign. Es wurde intensiv über die Gestaltung der "optimalen" Bohrschablone diskutiert und Erfahrungen ausgetauscht. Auf der globalen Konferenz 2013 von MIS in Cannes referierte Florian Schober von der Universität Zürich über die Zukunft von Implantatplanung und der geführten Implantologie. Er gab einen klaren Überblick über den aktuellen Stand der Forschung und präsentierte eine verständliche Übersicht über die neuen Möglichkeiten, welche es schon heute gibt und was wir von der Zukunft erwarten können. Am ersten Wochenende im Juni 2013 veranstaltete die Universität Complutense in Madrid die Konferenz "Digital Dentistry Applications for Implantology". Nach zahlreichen Präsentationen zur computerunterstützten Zahnmedizin, 3D Implantatplanung und schablonengeführter Chirurgie von Prof. Mariano Sanz, Dr. Dr. David Schneider, Dr. Manuel Sancho und Dipl.-Ing. Florian Schober am ersten Tag, folgten am zweiten Zag intensive Übungen am Computer mit der smop-Software und am Modell mit der Schablone. Die Firma Camlog Spanien stellte Bohrer und Implantate für die Übungen zur Verfügung. Es war die grösste Veranstaltung, welche Swissmeda bisher in Spanien begleitet hat und die Teilnehmer gaben begeisterte Rückmeldung. Auf der diesjährigen IDS präsentierten wir als große Neuigkeit unser neues Modul, womit Servicecenter oder Zahnlabore digital Schablonen konstruieren können, um diese dann z.B. zu auf einem 3D-Drucker herstellen lassen können um Ihren Behandlern zur Verfügung zu stellen. Dieser offene Ansatz von uns kam wie erwartet sehr gut an. Wir hatten zudem viele internationale Besucher und konnten unsere internationale Basis sehr ausweiten. PD Dr. Ronald Jung (v. li.) (Zahnklinik Universität Zürich) und Dr. Jörg Danzberg (Swissmeda AG) am Stand des smop Systems. Ronald Jung arbeitet seit Jahren mit dem neuartigen 3D Planungssystem. Er und seine Kollegen wurden bei der Entwicklung der Design-Strategie für die Bohrschablonen immer wieder beratend hinzugezogen.